celebrations of Valentine's Day! you have to share a greeting card to your friends and your best soul mate. the Facebook give an opportunity to share, send the card to your friend Facebook will show a preview to share your card own. Like this image showing you. 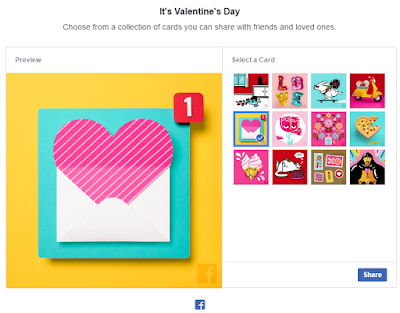 just click on share a card of own and enjoying the cards. You will see the next page with almost 16 different types of cards. you may select and preview it . 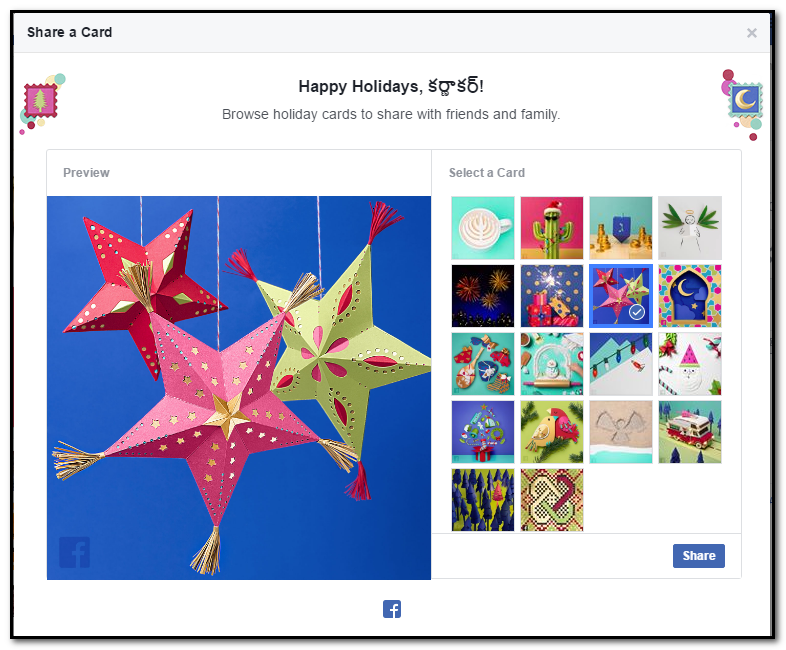 after completion of your selection just click on share, that is it .. the card come with a post . want to write something then you can write in your post and post it it will look like your post and below of the your post the small link will be declared to do same thing others ..
Others just tap on select card then others can also have a card to share their friends .. got it. 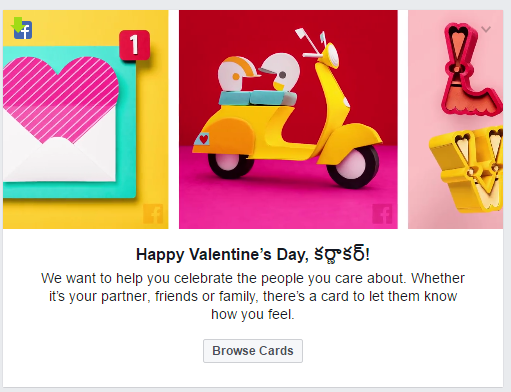 then why are you waiting just tap on Facebook select your card and share your wishes to others... share to me also .